Empowering You To Become Healthy Wealthy & Wise! Ø Have you often felt restricted or even scared to take that first step towards financial security? Ø Do other people always come first? 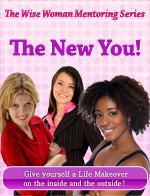 Ø Do you know women who have struggled financially since becoming divorced or widowed? every step of the process that will change your life. control of your life, becoming the leader you were born to be. will reveal how to change your thinking and gain clarity. You will have the tools to achieve your goals. genuinely taking advantage of all key information needed to build successful upon a good idea. empower yourself to become financially Independent taking on leadership roles. P.S. Imagine having the power to control your destiny and reach your goals much faster than before, what you are about to discover is like nothing you've seen before. You're one click away from a major life changing moment. Create Your own business empire with the Wise Business Woman Coaching Program Join Today. We are experienced, highly qualified professionals, with excellent track records possessing a wide range of skills and experience in Corporate and Leadership Training, Life and Business coaching, Counselling and Mentoring.